What will the bathroom of the future look like? How can this area of the home be reinterpreted? Axor asked three renowned designers for their bathroom visions. French brothers Ronan and Erwan Bouroullec, Frenchman Jean-Marie Massaud and Spanish-born Patricia Urquiola, who now lives in Milan. 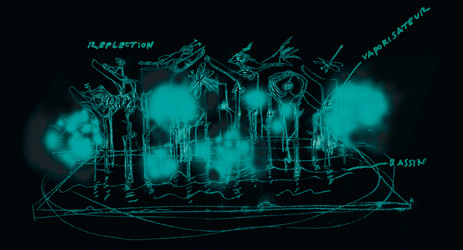 In spring 2005, the results caused a stir at the FuoriSalone in Milan, the supporting programme for the world’s most important furniture trade fair. 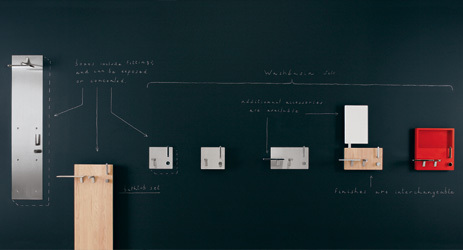 The futuristic bathroom visions have since been turned into three collections for Axor, Hansgrohe SE’s designer brand. The Bouroullec brothers provided an amazingly unconventional answer to Axor WaterDream’s request for a radically new bathroom concept. Who says that everything in a bathroom has to be positioned where the pipelines and connections go? They developed a modular system with the broadest possible range of options for customers. The positioning of the mixers, the finishes used: everything is optional and tailored to individual comfort desires and tastes. 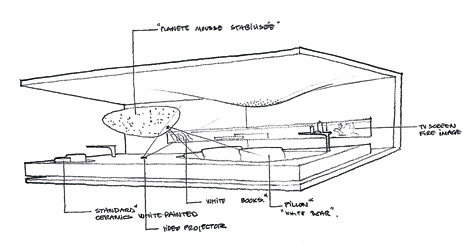 The technology is hidden behind the wall and blends in with the architecture. The result is minimalistic and almost weightless. The focus was also on the motto “Feel free to compose” in 2010 when the Axor Bouroullec collection was launched, providing users with previously unknown levels of freedom to create innumerable completely individual design solutions. 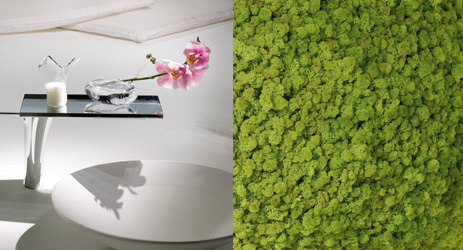 The consistent nature-related approach of Jean-Marie Massaud’s “Nature Inspired Design” aims to create an extremely special place: users should sense the natural elements in the bathrooms and be emotionally moved by the involvement with water. 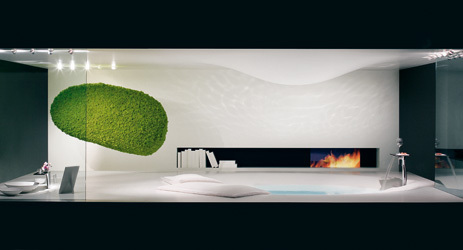 Massaud turns the shower into a rain cloud and the bath tub into an idyllic lake. The mixers grow into shelves on which small favourite items can be placed. Massaud’s radical new ideas turn technical aspects of the bathroom into a complete room design in which they are virtually invisible. 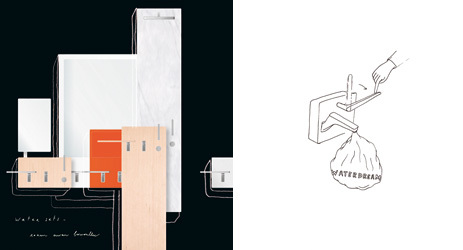 To a certain extent, he frees the bathroom from its focus on control units – in his design, these have an equally poetic and practical added value. 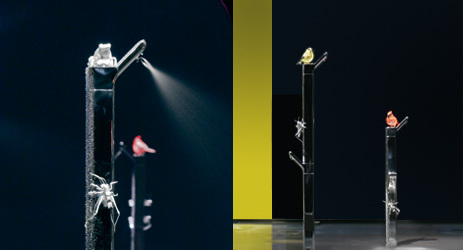 In 2006, his vision gave rise to the Axor Massaud collection. The energetic Spaniard whose designs for renowned furniture brands have achieved international success and awards creates a bathroom vision in her Axor WaterDream that floats between technology and dream: tree-like mixers and showers that seem to stem from the world of bamboo. 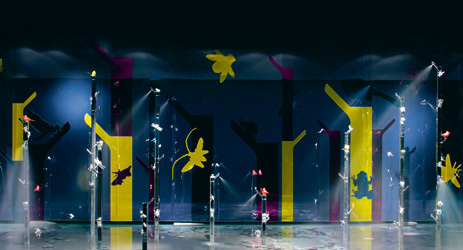 Staged in a sparkling, colourful ambience – animated with birdsong, frogs and butterflies. 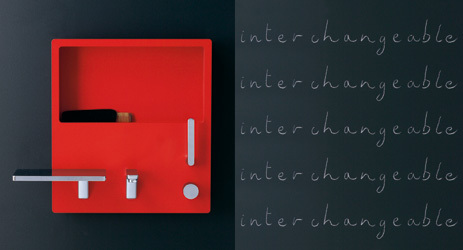 The stated intention of the magical design: the poetic composition should excite the senses. Her magical forest was a visual and acoustic spectacle – and the basis for the subsequent Axor Urquiola collection.